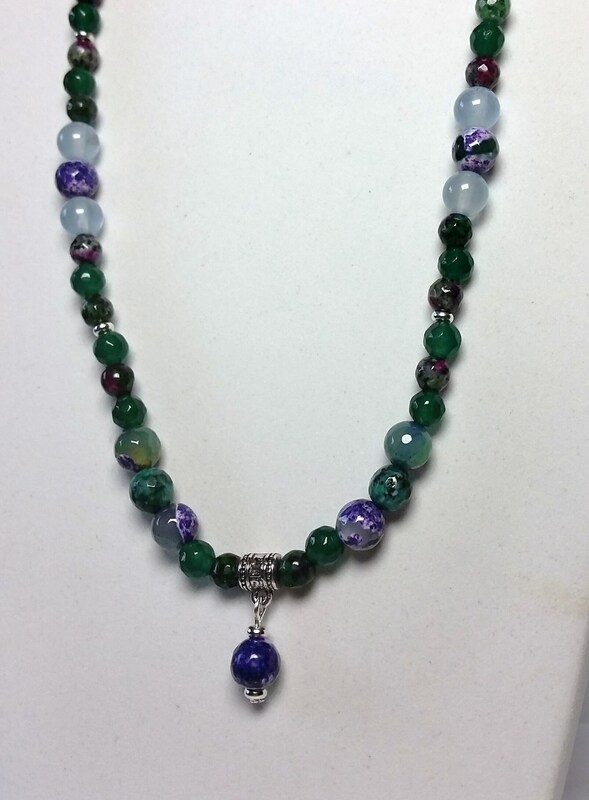 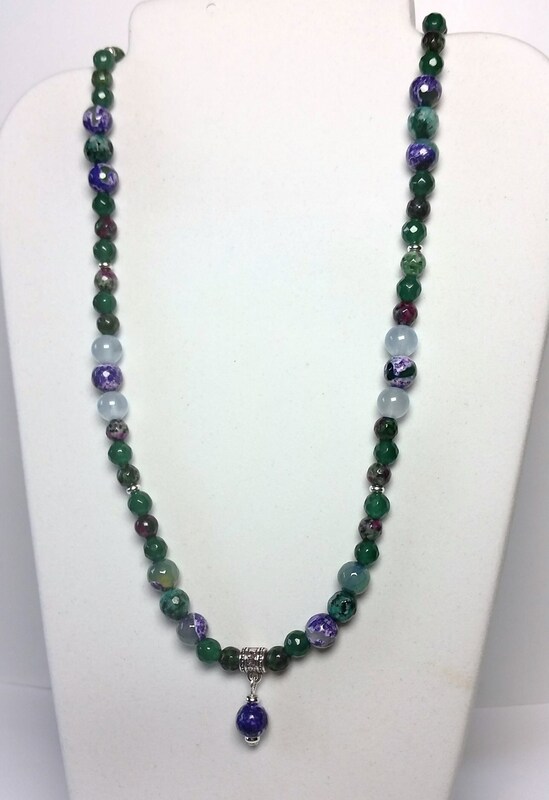 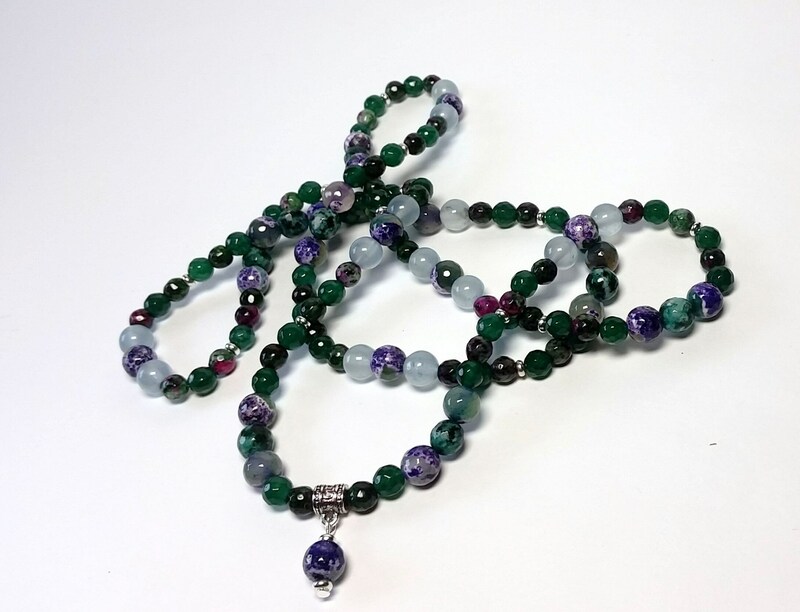 The different shades of green and purple gemstones of aquamarine, ruby in zoisite (anyolite), aventurine and agate are strung on stretch cord so there is no clasp!!! 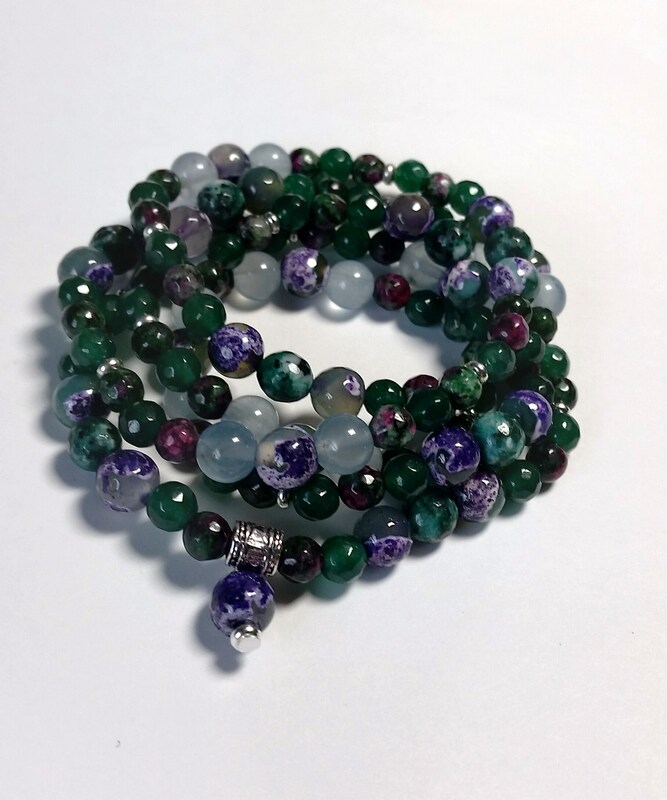 This is a very versatile cuff style Mala bracelet that converts into a single or double stranded necklace! 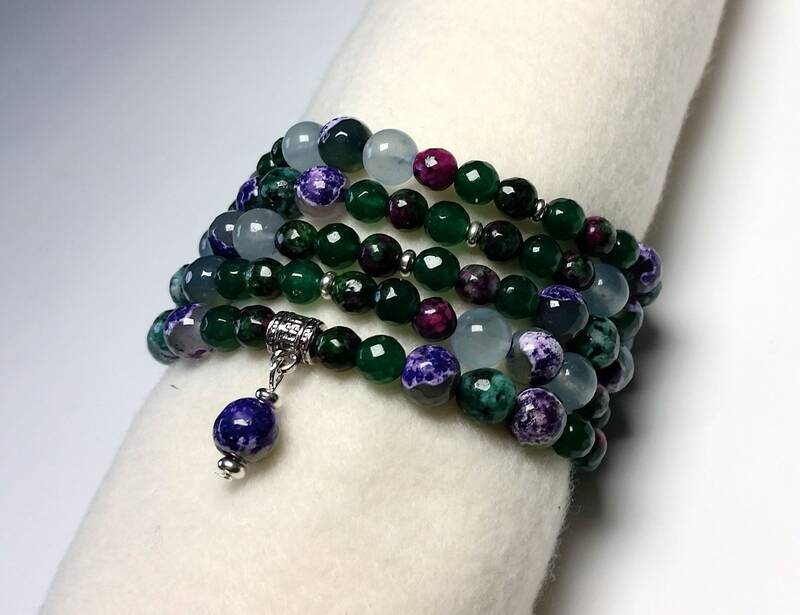 The bracelet will fit 5 times around most wrists of average size (6-6.5 inches) or 4 times around larger wrists. 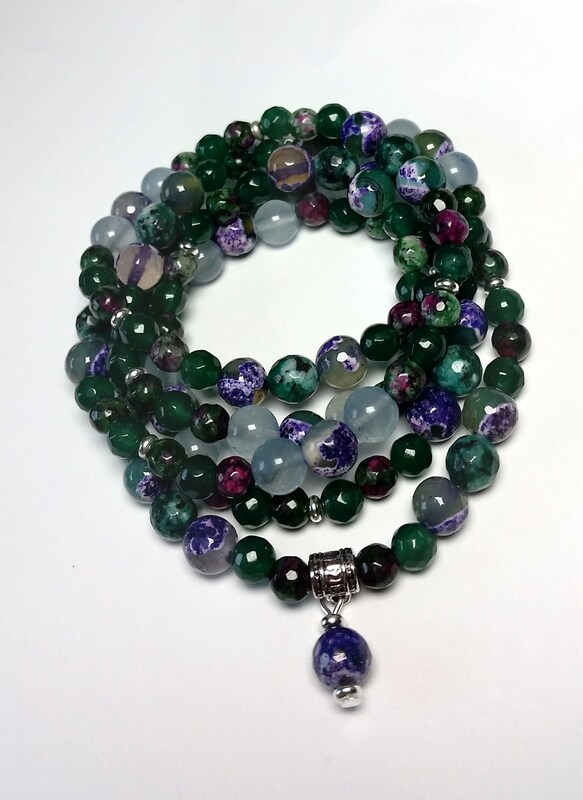 It has a cuff like appearance when worn! 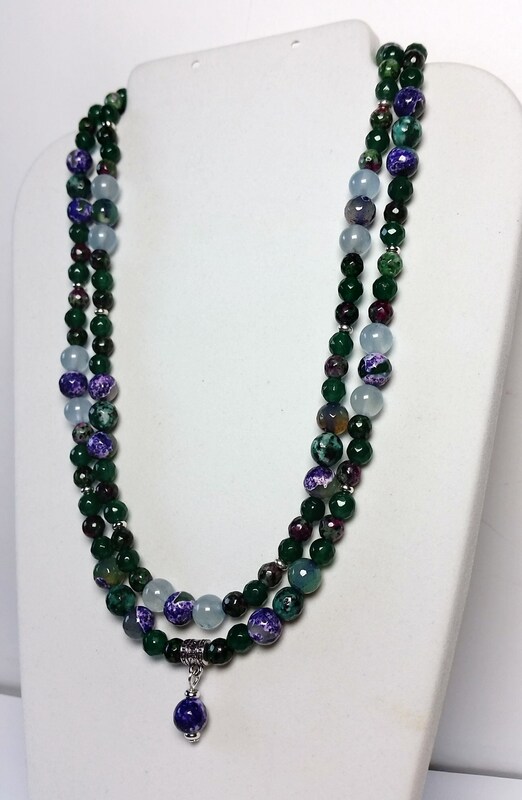 The strand is about 36 inches in length so it can wrap around the neck twice for a double 18 inch length necklace or once for a long 36 inch length! 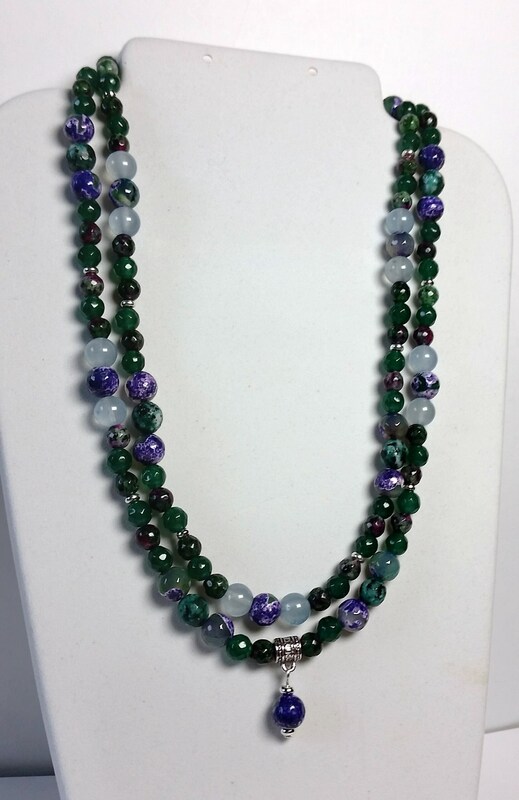 This jewelry piece has a single dangle that helps you to center its symmetrical pattern on your wrist or neck. 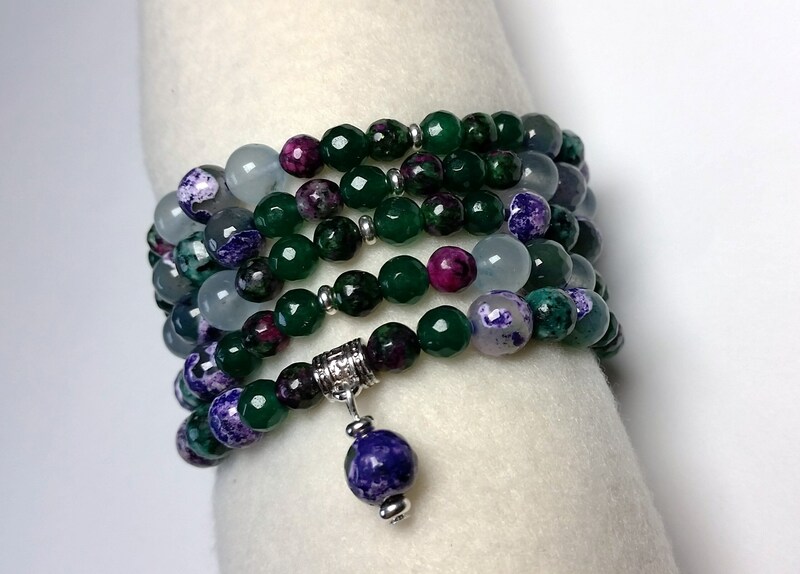 This is a very powerful combo of gemstones!